The obsession with certainty in education is perhaps a characteristic of our western way of life. We seem to want to know without doubt that what we teach, how we teach it and how we measure its efficacy is backed by the evidence. The evidence says that we should do this or do that in schools and this is how it should be measured and reported on. These imperatives are thrust upon a weary and disenchanted mob of educators whose autonomy in the classroom has been surrendered to the experts and the evidence they claim is true. 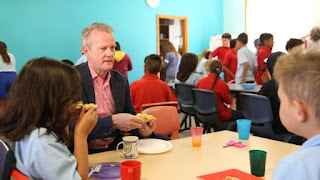 Mr Sahlberg on his travels in Oz is reported to have said that he was broken hearted to see students in schools buckling under the stress of high expectations, presenting with anxiety and stress related crying and vomiting. This prompts me to consider how the school curriculum itself and its reliance on testing and assessment puts undue stress on the students who we claim ‘are at the centre of all we do’ is an antecedent to mental ill health. In his neck of the woods standardised testing is almost universally rejected and there is more of a focus on play. Teachers are required to have masters degrees and they maintain a high level of autonomy. Students start school at seven years of age and may never be exposed to any kind of assessment! Yet Finland when compared to other OECD countries based on key education metrics including literacy and numeracy (Program for International Student Assessment – PISA) is the strongest performer! So what happens in the years before students start formal schooling at the age of seven? There is a focus on health and well-being and play is considered to be a natural way for young people to learn how to relate to others, develop their problem solving capabilities and to build and maintain positive mental health. All this without ever having been tested on anything! 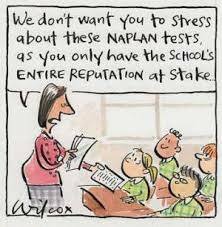 Meanwhile back in Australia students start school at age five, and they are acculturated into the regime of NAPLAN, ongoing assessment, competition and school league tables where schools are focused on results and teachers are under too much control. Is it any wonder that our students from the early years onwards are presenting with issues of anxiety, depression and anger? Is it possible that the school is a risk factor for the social, emotional and behavioural problems that children develop? Since NAPLAN was introduced ten years ago reading and numeracy have improved slightly and writing skills have gone down and despite all the resources that have been invested in our system of education we haven’t hit the lofty heights of excellence we were hoping for. In New Zealand change is afoot as the new Prime Minister moves to incorporate aspects of the Finland model into its approach to education. The National Standards of Literacy and Numeracy has been abolished for years one to eight and schools will choose their own way to assess children’s progress, allowing educators more autonomy and control over what they do. Minister Chris Hipkins says that schools will still collect a range of data to track student performance but it will not go to a central database to create school league tables (Labour's education plans revealed). The aim is to focus more on learning and less on excessive assessment. If the hypothesis above has any credibility then it may be asked; what is the function of mental health education and promotion in schools? The answer is always that we want our students to be happy and successful but perhaps educators and school counsellors might in part be addressing the response of students to the stressors they experience in the learning context. In this sense it could be the case that school is bad for some kids because they have been introduced to formal learning too early and they haven’t had enough time to build those foundation competencies and attitudes that are conducive to long term success in a school setting; they’ve had not enough time to play. This was 2012 and one wonders if anything has changed? 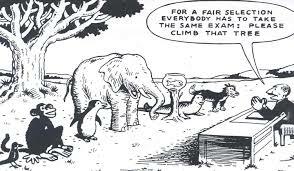 But we persist in our schools to put a heavy premium on assessment and though unintended the outcomes are plain to see. Perhaps the winds of change are gathering momentum. The Finnish and New Zealand experiences are wafting on a breeze of hope for the future. We condition ourselves when we rehearse and re rehearse certain ingrained thought constructions that are unhelpful or helpful to us. Ellis claims, and I agree, that if a person’s self-worth is contingent on how others regard them or how well they do at tasks it can be very harmful. They will feel OK or not OK depending on which way the self-esteem winds blow! This is what Ellis called conditional self - worth, how one esteems oneself when they are approved of and when they do well; self-esteem. What then is the psychological antidote to the self-esteem scourge? 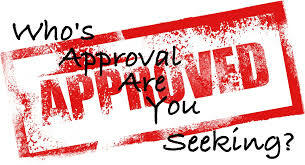 How do we start to help those students whose confidence waxes and wanes in response to the approval of others? Perhaps it would be useful to note some of the consequences of coming down with a bout of the dreaded self-esteem bug – approvalitis! 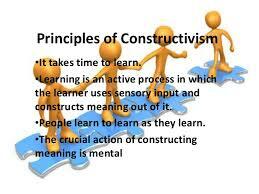 Constructivism explains how people acquire knowledge when they interact with their environment. Knowledge doesn’t exist somewhere outside the individual to be absorbed but rather it is co - constructed between the subject and others in various contexts. The idea is to acquaint the student with this idea; that they have constructed the beliefs that inform what they do and how they feel in response to life’s challenges. 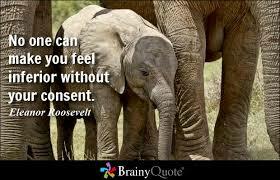 If they feel anxious or down then they may well be tethered to a self-esteem belief i.e. conditional self – acceptance. I will refer to one who thinks this way as a ‘self - esteemer.’ We want to challenge and change this ‘thinking rule’ to unconditional self-acceptance (USA), a ‘self-accepter’ rule. I have posted many blog posts which suggest ways in which we can assist students develop unconditional self - acceptance e.g. Psychological Immunisation and Little Jack Horner and here I offer another suggestion. This is a lesson I developed to teach students about constructivism and how it relates to USA. These ideas can be used with students from mid – primary onwards. 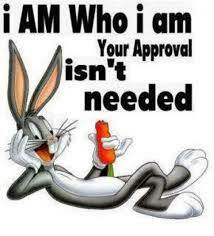 First establish what unconditional self-acceptance is e.g. When we accept ourselves unconditionally it means that anyone’s opinion of us (good or bad) is just that, an opinion and cannot define our ‘total’ selves because we are made up of maybe hundreds of different traits, qualities and characteristics none of which alone can describe us totally. We all make mistakes but we are not totally bad. The positive qualities still remain. In other words we are not our mistakes just as we are not our successes. We are just worthwhile no matter what! 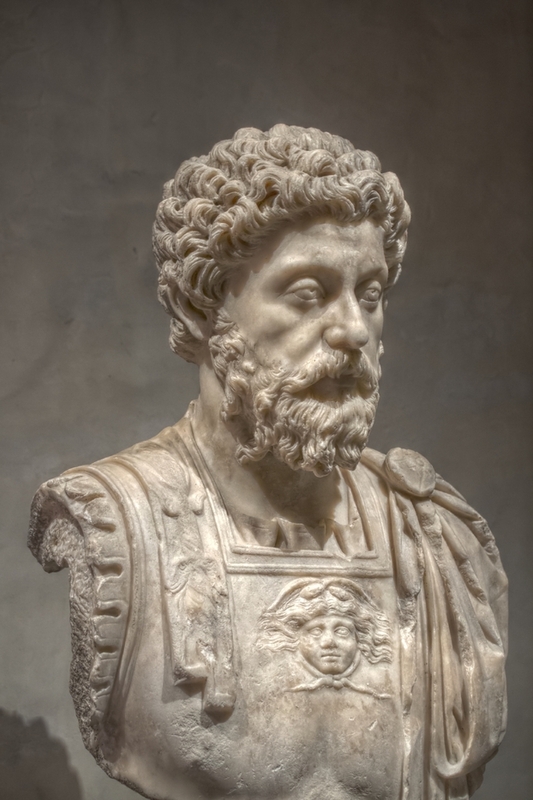 We want to help our students develop the ‘thinking rule’ that; ‘what I think of me is more important than what you think of me.’ This is not an arrogant position but one which is supported by what we know about ourselves and how well we accept what we know about ourselves to be true and factual. Next hand out enough white and yellow Lego blocks to groups of two or three to construct a small wall. Please build a wall that best reflects what we know unconditional acceptance to be. Remember we can make mistakes and we may have qualities that aren’t perfect but in the main we are all OK. The white blocks represent our positive qualities and capabilities and the yellow represent those things we can work on if we choose. Some may construct a wall predominantly of white bricks and a few scattered yellow ones. Others may construct ones completely white. Encourage the class to consider the various construction’s and ask them to explain why they have made their walls as they have e.g. Which wall best represents the idea that we are not perfect but that we are always worthwhile? If yellow bricks represent things that we are not so good at what does a wall made of all yellow bricks mean? Is this true? What are we thinking if our wall is made entirely of white bricks? Is this possible? Can this be true? We want our students to see what ‘worthwhile’ looks like. If they accept what is represented by the wall constructions they can see that no matter what they are always OK (represented by option 1 above). They can then start to practice the belief of unconditional self-acceptance. It may just be a daily reminder to think e.g. Option 2 represents a view that ‘I am not OK. Most or all of me is not good, therefore I am not good.’ This wall construction is an irrational idea because it denies the preponderance of positive qualities that a person has. It is important to provide evidence to a person thinking this way that this is not a true and accurate self-worth picture. This self-view represents the beliefs of a ‘self esteemer.’ This belief underpins a tendency to feel down often and/or anxious because this person believes that she’s bad/hopeless/unlovable. Option 3 suggests that there are people in the world who are perfect. This is an errant perspective that cannot be supported with evidence. Is there a person for instance who has never made a mistake? This belief causes anxiety and depression if such a view is held by a person who strives to always e.g. get 10 out of 10 for a test or who could never handle any kind of constructive advice because this would mean that she wasn't 'perfect' and then others would see how 'bad' she is and that would be a 'catástrophe! Remind your students that we construct our beliefs just like we construct a wall. Our ‘thought walls’ are made with the bricks we think are the right ones. What we believe to be true can be helpful or unhelpful and believing that we are always worthwhile is true and if we don’t believe this we can mentally deconstruct the old wall and build a new one that best represents who we are! Where do these rules come from? Do we learn them from others and if they are unconscious ‘belief rules’ how can we get to know them? I think it’s true to say that our ‘rules of engagement’ with the world around us are indeed learned but what’s the likelihood of ever learning what they are? This would be insightful, new knowledge which would have benefits for the learner. What if some or most of these ‘thinking rules’ were unhelpful or self-defeating? 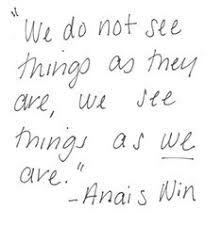 Knowing this we could then, if we so chose, find better ways of seeing the world; perceiving it in a different way. Our reality is forged within the contexts in which we are socialised. Every interaction we have with others and with our environment, our ‘habitus,’ will determine how we view ourselves, others and the world in general. Our learning within our ‘habitus’ is connected to events and happenings but do they themselves constitute our experience of them or is there other things to factor into the equation? When we are subject to an event or happening we are called upon to assess that happening. What does it mean? If a young person (let’s call her Sally) consistently sees positive examples of interaction between others and herself where each player shows respect and kindness to each other she will draw certain conclusions about what she experiences, she will attach meaning or meanings to those events. These meanings are constructed by the individual in relation to what is happening around her. What kind of ‘thinking rules’ might the young person have constructed which will inform and direct the choices she will make in various situations? 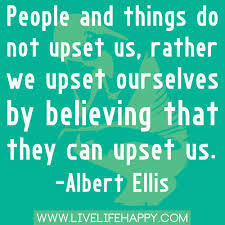 According to Rational Emotive Behaviour Therapy (REBT) theory created by Dr. Albert Ellis in the 1950’s we construct ‘habits of thinking’ that can be either helpful (rational) or unhelpful (irrational) in pursuing the goals we set ourselves. Those that are helpful to us are characterised by attitudes that accommodate the unfairness and unpredictability of life. For example when confronted with a problem, the resilient person may feel disappointed/inconvenienced. Another person who is less resilient may experience extreme anger and embitterment. These contrasting dispositions are linked a particular mindset of each individual which each has constructed and which guide how each feels and behaves. She doesn’t expect things to always go her way and when problems arise she can handle the inconvenience. The situation is not catastrophic, there are many more issues that cold be worse than this. Life can be unfair but she expects that his can be so! Things must be the way she wants them to be. This should not happen and she can’t stand this big imposition. Life is unfair and bad things always happen to her! This is the worst thing that can happen! These ideas have been around for millennia and Albert Ellis incorporated this philosophy in his Rational Emotive Behaviour Therapy counselling/psychotherapy model. Can these principles be conveyed to students in the school setting? They can and have been introduced to students in many schools (preschool – year 12) around Australia very successfully. Giulio oversees the implementation of Rational Emotive Behaviour Education in his school in South Australia. This is the fourth year this whole school mental health education/promotion/prevention program has been in place and outcomes have been very positive to date for students. He has set up the Centre 4 Rational Emotive Behaviour Education which provides free professional learning to educators, counsellors and allied agency workers. This is the third year of its operation and feedback is always very positive in terms of its usefulness to participants who attend the ten workshop program. The workshops cover the understanding and application of REBT in the school setting. The application of REBT in daily teaching practice is called Rational Emotive Behaviour Education. For more information about workshops and other questions regarding REBE please contact Giulio on lozzog@gmail.com. You can also visit his blog REBTOZ for more information and blogs about REBT/REBE. You might find this article about how to teach REBT using Shakespeare’s Hamlet useful CBT Today, Volume 43 Number 1 or using nursery rhymes to illustrate REBT principles here Psychology Today.